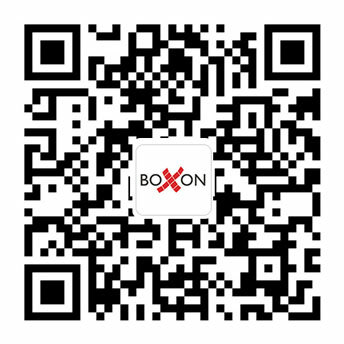 Boxon recently offered a packaging solution for the marble furnishing manufacturer NORDST. We engineered the packaging for the products including marble tables, vases and plates. With our packaging the marble products can be sent safely to foreign and Chinese customers in China. Marble attracts consumers’ attention because of its natural and extremely varied and colourful patterns. It shines when it is cut and polished. However, it is stiff but not tough so there is high risk to break when there is impact, vibration and drops in transit. The marble table should be especially protected as the marble top often is long, which results in higher risk to break. Marble is sensitive to coloured substances such as juice, tea, coffee, oil, sauce, etc. which can stain it easily. This can happen because marble is porous and the coloured substances can penetrate through the pores. The longer the infiltration lasts, the harder it is to clean up. The beautiful appearance of marble will be sharply affected as long as it is stained. Moreover the stains may cause corrosion and in that case the surface could get rough. Therefore when choosing packaging materials, we avoided the use of coloured materials in order to prevent marble being stained. In addition, the packing staff wore white gloves when packing and handling in case of stains in hands. 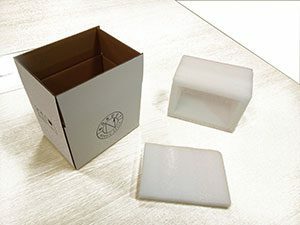 We made a packaging solution that could protect the products well, but did not use excessive packaging. The optimal packaging was engineered based on the product features, transport method, temperature, humidity, regulations, etc. We analyzed every aspect from packing, handling, warehousing, loading, transporting to sales. In doing so, we found the opportunities to minimize the cost. We try to make the packaging that has the least impact on the environment. Therefore corrugated materials and EPE foam are used frequently because they are recyclable and not harmful to the environment. Besides, we use the least amount of materials to make packaging so that it saves resources. And we make the weight of the packaging as light as possible so that the energy that is consumed in transit can be less. As a leading packaging partner, we don’t just supply containers for your products, instead our top engineering team work out the optimal packaging solution to create profitability for you. You only need to focus on your core business and leave the packaging task to us. In addition, we make packaging proposals based on your specific business requirements to meet your strategic targets in the long run. 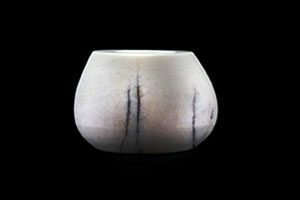 NORDST is a brand of home furnishing products, specialising in high-end Nordic style marble furniture. 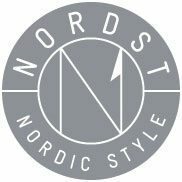 NORDST stands for Nordic style. The Nordic style is known for contemporary designs, where time only works in favour of the design piece. 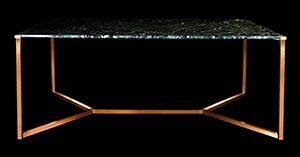 NORDST specialises in combining natural materials such as marble, copper, brass and stainless steel with great design, offering over 400 combinations to choose from.